Adam and I have been doing a lot of travel as of late. Between planning a wedding in another state and the official start of summer (hello white denim!) our bags are perennially packed. As a result, Adam has become accustomed to hand sanitizer, Tums and toothpaste at the ready. This becomes problematic when he flies solo for business. Adam is a man. This means he really can’t be bothered with a ziploc full of potions that must be removed at security. He can, however, be known to overdo it on the curry or wasabi. Before boarding his last flight to Los Angeles, he actually asked for hand sanitizer. 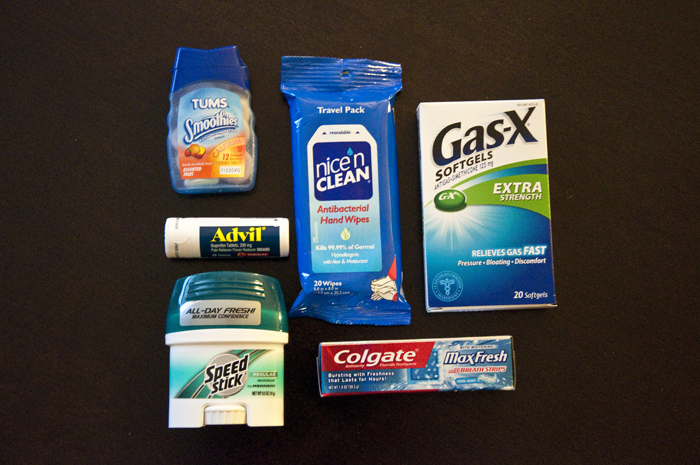 So this time around, I collected a few necessities for his toiletry bag (never underestimate gas x when you’re 20,000 feet above the clouds and pumped full of recycled air). And because Adam is not a type-A, born-planner like me, I packed him a bag of snacks to make his cross country journey more palatable. Naturally, I included a little note. 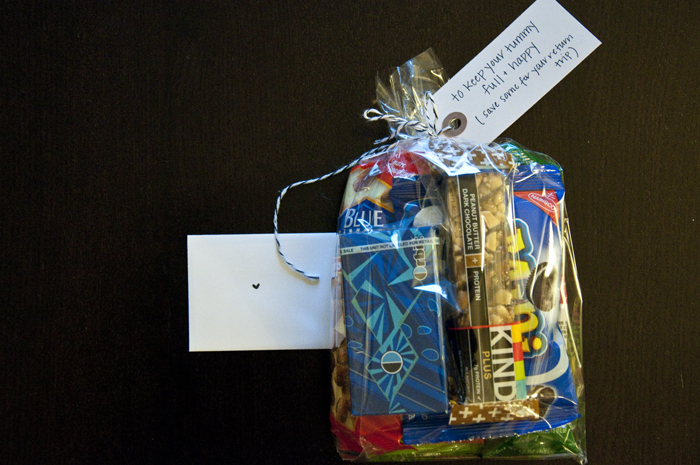 Do you ever pack notes in your loved ones suitcases (or lunch boxes)? My Mom was a flight attendant and flew to Europe weekly when I was a kid. I loved tucking notes deep into her suitcase for discovery mid-trip. I just adore little surprises like that!